Juicy may refer to two acts: Juicy was an American R&B band active throughout the 1980's, founded by the brother and sister duo Jerry and Katreese Barnes. The other members were: Wyatt Staton (guitar and lead vocals) Allison 'Ali Bob' Bragdon (tenor sax and vocals) and John 'Stovepipe' Tucker (drums and vocals). Their biggest hit was "Sugar Free", and peaked at #16 on Billboard's R&B charts in 1986.
and John 'Stovepipe' Tucker (drums and vocals). Their biggest hit was "Sugar Free", and peaked at #16 on Billboard's R&B charts in 1986. Currently, Katreese is the musical director for the long running sketch comedy show, "Saturday Night Live". 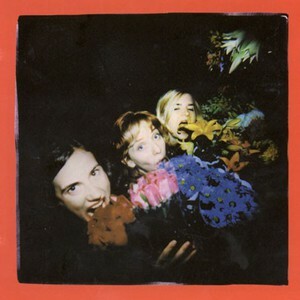 Juicy was also a New York-based indie powerpop band formed in 1993 by Kendall Jane Meade (guitars/vocals), Lisa Marafioti (guitar), Jenn Levin (bass) and Meaggan Ward (drums). The band released two albums: 'For the Ladies' (1993, after which Marafioti left the band) and 'Olive Juicy" (1996). While Juicy disbanded shortly after its second release, Kendall Meade pursued a solo career under the name Mascott.